A cool roof consists of materials that effectively reflect the sun’s energy, thus keeping the roof surface and your home cooler. Cool roof materials are brighter in color and have high emissivity properties to reflect solar energy. 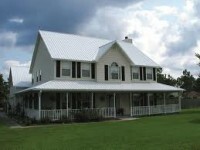 A cool roof can reduce the surface temperature by up to 100°F (37°C). This helps to reduce energy use and energy costs and improve your comfort level. A cool roof also helps to meet California’s Title 24 Energy Efficiency building standards. Can we install a cool roof on your San Francisco Bay Area home? “Cool roofs” are designed to deflect sun rays and absorb less heat than regular installations and can be put in place by using highly reflective type of roof paint, a sheet covering, reflective tiles or even shingles. Just like how humans like to wear light colored clothes to keep us cool when walking under the sun, cool roof uses materials that are designed to do the same. Usually, dark colored roofing system can peak at higher temperatures. A cool roof can reduce the surface temperature by up to 100°F (37°C). Because of this feature, cool roofs for residential homes save a lot of money from air-conditioning because their homes do not absorb as much heat. This means less energy consumption for the households air-conditioning units. It also helps cool down places where there are no air-conditioning units installed like garages and covered patios. It also helps the environment because it decreases the local air temperature in the community or often referred to as the urban heat island effect. A cool roof also helps to meet California’s Title 24 Energy Efficiency building standards. Where to get cool roofs? Can we install a cool roof on your San Francisco Bay Area home? Call us at 925-685-4151 to know more or request a free in-home estimate.